Can run Profit and Loss report by Job. 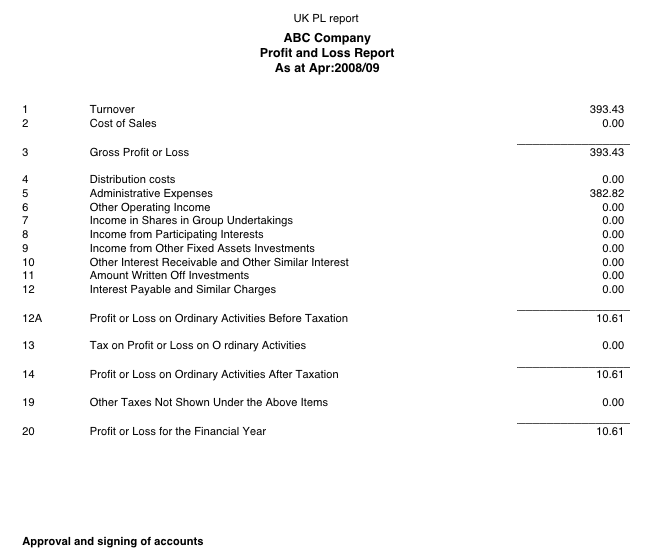 This report runs UK Format Profit & Loss: CATEGORY 1 Field should be linked up with the Income and Expenses items (i.e accounts). 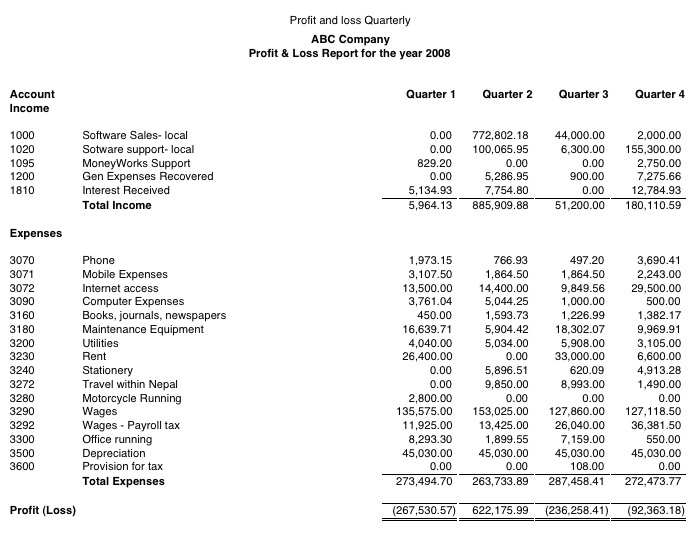 This report displays a standard Profit and Loss report, but with each quarter of the financial year in a column, and a totals column on the right. 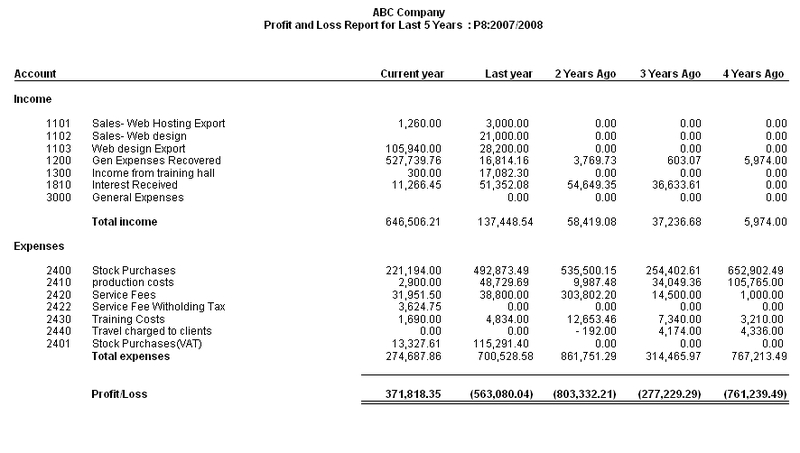 Prints standard profit and loss report showing each classification in a column. Report can be customised to show more or less classificatios. Contact us after purchase. 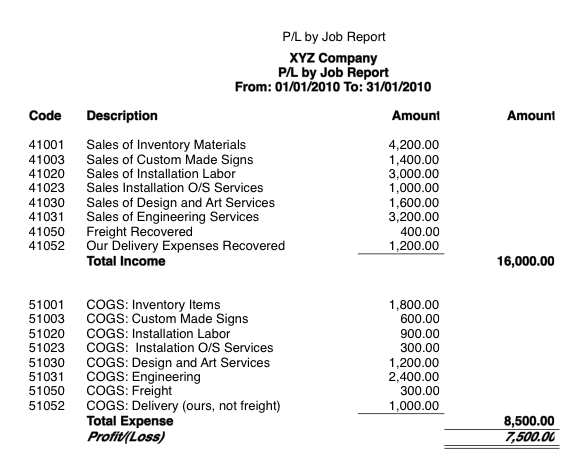 Prints standard profit and loss report showing each department in a column. It can handle up 10 departments. Report can be customised to show more or less departments. Contact us after purchase. We have two different reports, profit & loss report by department for year to date & for the month. Please mention it when you are purchasing the report. 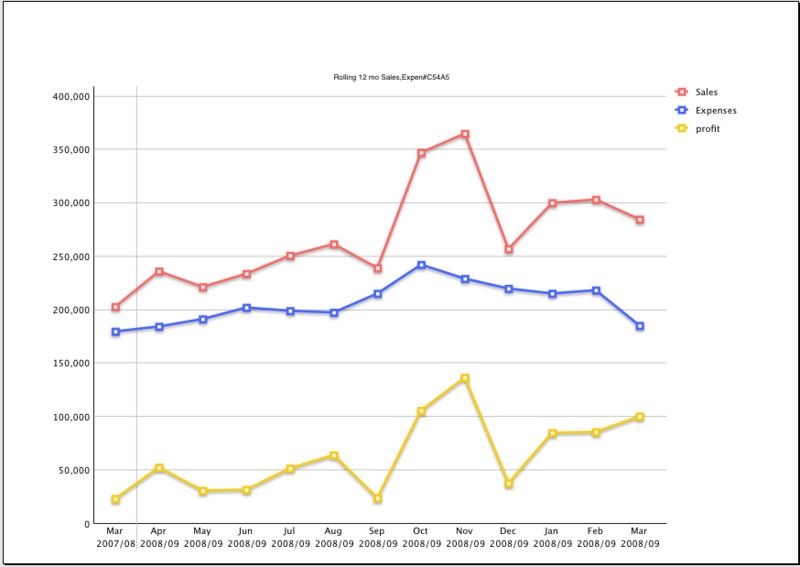 This report shows the last five years of profit & loss information with each year in it's own column.